The Choices I’ve Made by J.L. Berg is a an emotional gripping second chance story that reiterates and conveys the message of choice. Choices. We all have made one. Right ones. Wrongs ones. Regretful ones. Indifferent ones. But regardless of whatever decision, we made a choice. And in this story, Berg explores the choices made by Jake Jameson and Molly McIntyre. She chose to stay. He chose to leave. But what happens, when Jake returns back home to his island hometown and is faced with a choice. A choice that can alter and change how he will see and view his life. Twelve years ago, Jake made a choice to walk away from his home and leave behind the woman he loved. This decision was mixed with regret and loss and so when he reunites with Molly, is this his second chance at repairing their broken hearts? Molly has never left the island. Her life has been focused in running her family’s inn. But what happens when, everything is shifted when Jake comes barreling back into her life. Can their passion and love be enough to heal them? Or is this another choice where they must realize love is not enough? 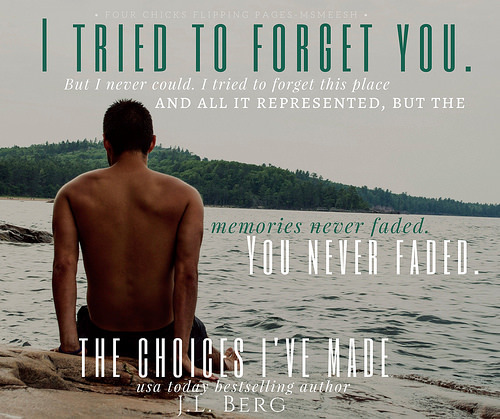 The Choices I’ve Made is an angsty romance that grips you to the core. 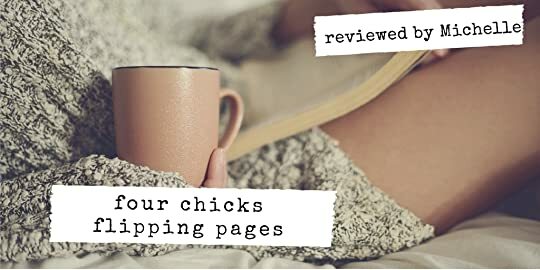 It is a romance built on flawed characters who are struggling with real life decisions. So if you are looking for a story that explores the every shade of love, loss, and pain then I highly recommend you to read this book.